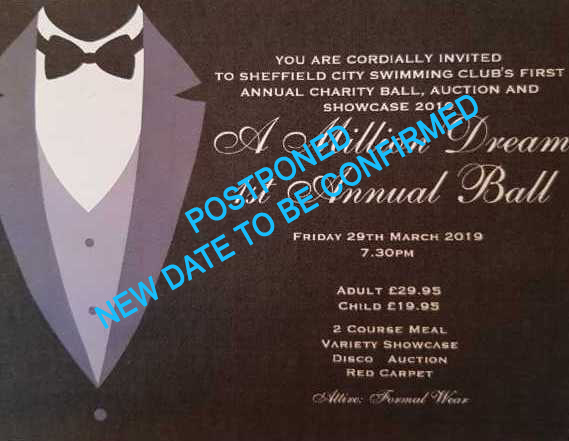 We have had to postpone the Annual Ball and Charity Auction until late Summer and will shortly post the new date. In the meantime, we are hosting a team quiz night on Saturday 27th April and hope to see lots of teams entered to battle for the SCSC Quiz Master's 2019. Tickets only £7.50, including a buffet. Keep an eye on the forum post as further information will be available there shortly. easyfundraising is a brilliant way to raise money for Sheffield City Swimming Club. Welcome to the Sheffield City Swimming Club website. Formed back in 1962, and formerly known as Oak Street Swimming Club, we are Sheffield’s oldest competitive swimming club. Our members range from 8 years of age to masters swimmers and number around 150. The club is run by 10 committee members with a host of other volunteers. The club is split into 4 squads: A, B, C and Youth & Masters squads, each squad has its own coaching team and train at Heeley Baths, Ponds Forge, Graves Leisure Centre and Spring’s Leisure Centre. We promote friendship and team-spirit and swim "one for all and all for one". The club is affiliated with the Amateur Swimming Association, Yorkshire Swimming Association and the ASA North East Region and was awarded Swim 21 and Sport England Club Mark status in 2003, most recently validated in 2014. We hold two annual open meets, a Sprints Meet in August and a B-Grade Meet in November. Both meets are held at the impressive Ponds Forge International pool. We also host the South Yorkshire Masters Open Meet; keep an eye on the Open Meets section for details and entry forms.